his hard work in writing. and for being a consistently hard worker. Georgina – for writing 3 different things about her Christmas holiday. Stuart – for trying very hard at his writing. Jason – for working hard in writing and using interesting sentences. Niall – for managing difficult calculations involving adding with carrying. Alanis – for excellent work in writing and in multiplying. Charlie – for producing detailed art work and writing interesting stories. Molly – for super contributions in all a class activities. Leah – for making really good progress in both reading and writing. Ashleigh – for her art work, making a superb drawing in the style of D.S. Ernest – for an an excellent piece of writing typed up for Mrs. Storey. 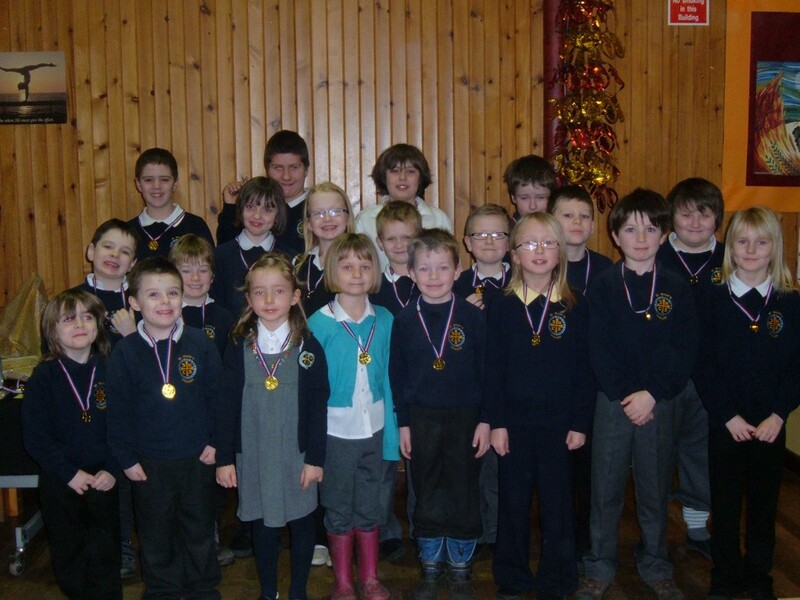 Previous PostFirst Term in Primary 4/5Next PostCelebrating Success – St Mary’s Marvels!